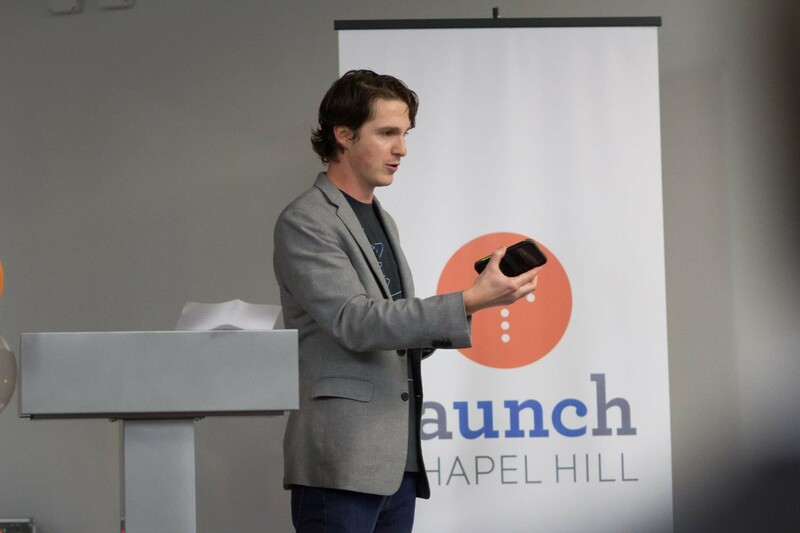 Launch Chapel Hill, a startup accelerator founded by UNC-Chapel Hill, the Town of Chapel Hill and Orange County, celebrates its first five years of supporting local entrepreneurs, 75 new businesses and economic growth. 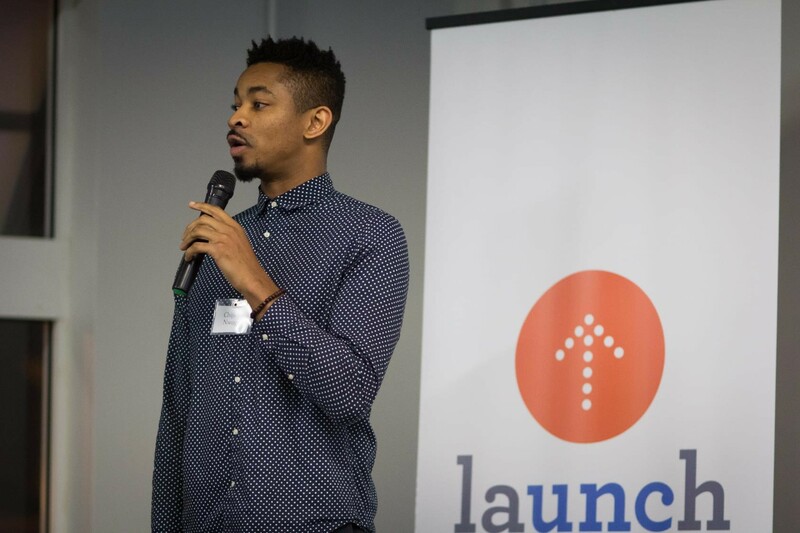 Now an internationally-recognized startup accelerator, Launch Chapel Hill emerged as a university-town-county partnership and was co-founded by UNC-Chapel Hill leaders, the Town of Chapel Hill, the Downtown Partnership and Orange County Economic Development. 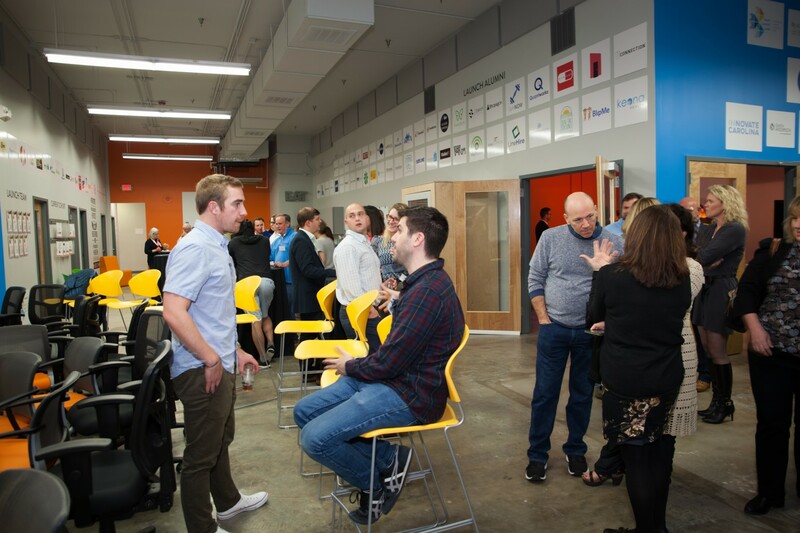 Located in the heart of the downtown district, it provides valuable resources and connections to high-potential founders who want to start and build successful businesses. Those founders include faculty and students at the University and entrepreneurial residents in the community at large. 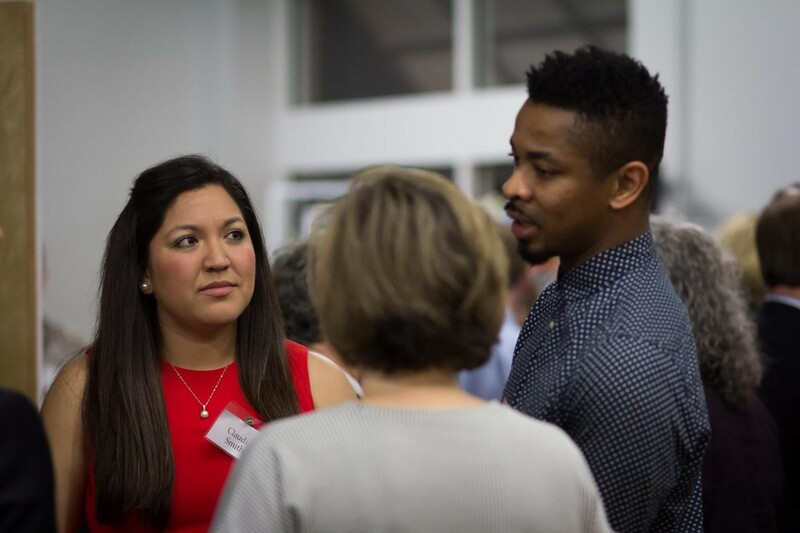 The Innovate Carolina Network can connect you to a variety of funding sources, including research grants, awards, competitions, fellowships, investment groups and venture capital. 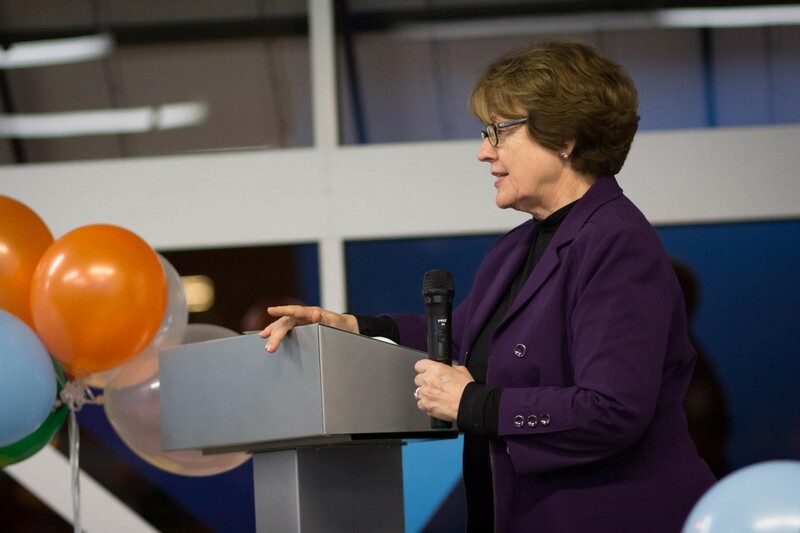 Local officials, university leaders, area entrepreneurs and residents gather for a celebration of Launch Chapel Hill's first five years of supporting startups in Chapel Hill and Orange County. The ninth cohort at Launch Chapel Hill gathers to celebrate past achievements and future successes. 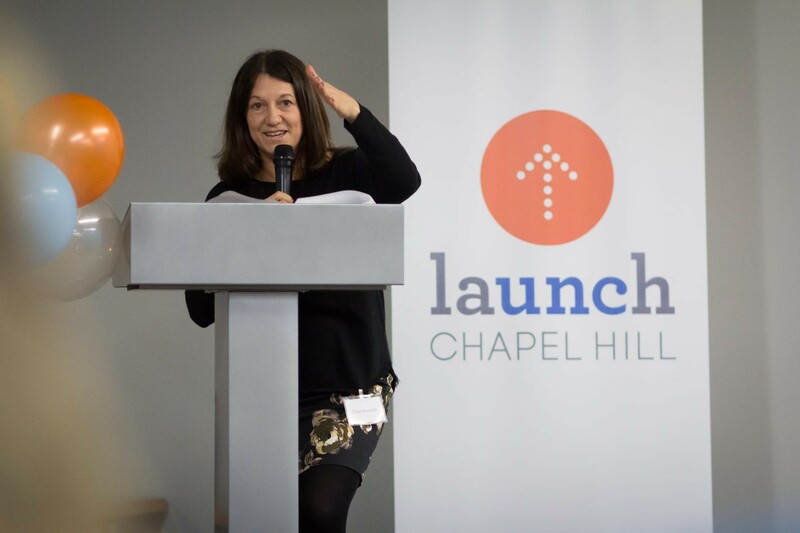 Dina Rousset, program director at Launch Chapel Hill and senior associate director of the UNC Center for Entrepreneurial Studies, shares the accelerator's five-year results. 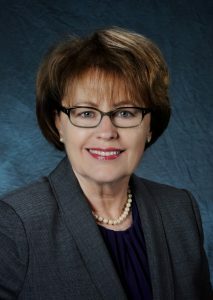 Judith Cone, vice chancellor for innovation, entrepreneurship and economic development, discusses UNC-Chapel Hill's partnership with Launch Chapel Hill. Alain Glanzman, co-founder of WalletFi, describes his company's experience after graduating from startup accelerator Launch Chapel Hill. 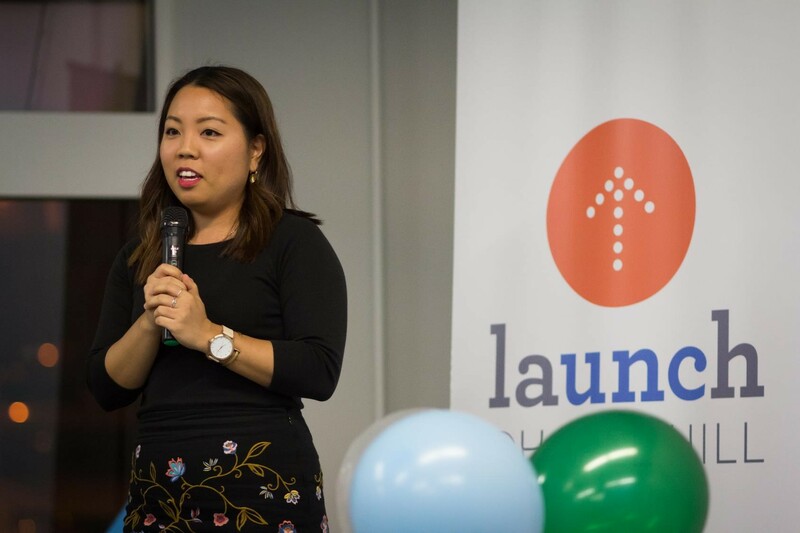 Riley Kim, co-founder of former Launch company Monikos, shares the latest news on her venture. 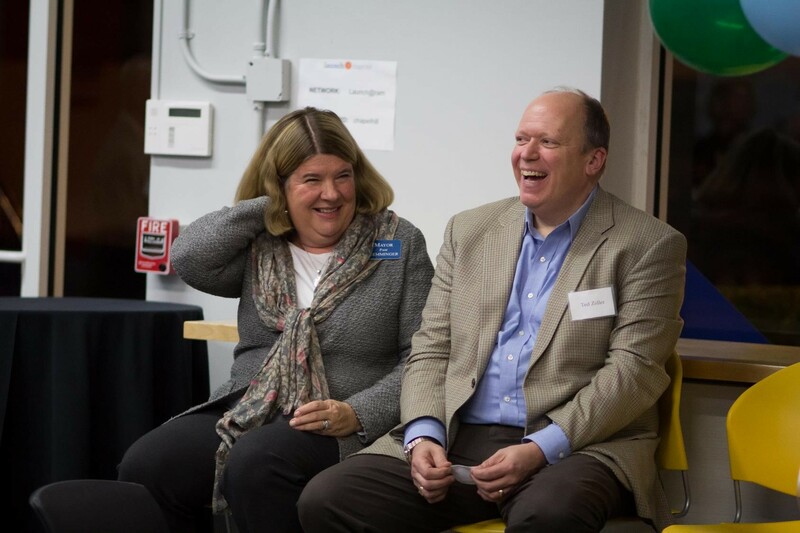 Pam Hemminger, mayor of Chapel Hill, and Ted Zoller, T.W. Lewis Clinical Professor of Strategy and Entrepreneurship and Director of the Center for Entrepreneurial Studies, help lead the celebration. Members of the new Launch cohort network prior to the celebration. The Launch Chapel Hill space, filled with business concepts and conversations. One of several speed pitches from cohort 9. Celebration attendees take a moment to network and share experiences. ● 75 companies have graduated, with 44 remaining in business. ● 94 percent of companies remain in business after one year, and 64 percent after two years. ● 31 companies primarily founded by students. ● $12.975 million in funding raised during 2017. ● $20.6 million in company revenue earned during 2017. ● 1,124 jobs created, with 202 of those in Orange County. 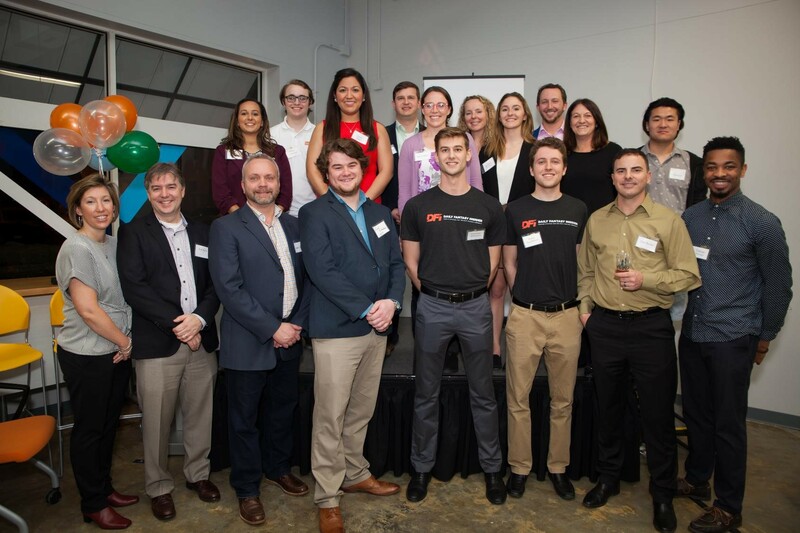 ● 25 Launch Chapel Hill companies call Orange County home, contributing to a $99,000 annual spend in downtown Chapel Hill dining establishments. Like many of the new ventures it supports, Launch Chapel Hill is also powered by a network of strategic partners. In this case, it’s the University, Town of Chapel Hill and Orange County working together. University support comes via Innovate Carolina, the UNC-Chapel Hill’s cross-campus alliance of people and programs that gives innovators and entrepreneurs the resources and tools to put their ideas into action. The financial support from Innovate Carolina combined with programming support and direction from the Center for Entrepreneurial Studies, which is led by Ted Zoller, T.W. Lewis Clinical Professor of Strategy and Entrepreneurship at the Kenan-Flagler Business School, help make Launch Chapel Hill a valuable resource for faculty and students with inventive ideas for businesses. Each year, Launch Chapel Hill accepts two cohorts of entrepreneurs who are committed to building their early-stage businesses into self-sustaining enterprises. Cohorts have access to a community of peers, a network of experts, a modern workspace, and the resources needed to achieve success or reduce the costs of failure. Launch Chapel Hill continues to pay it forward on campus and in the community. Cohort graduates and teams remain local, not only working on their businesses, but also helping other aspiring entrepreneurs. 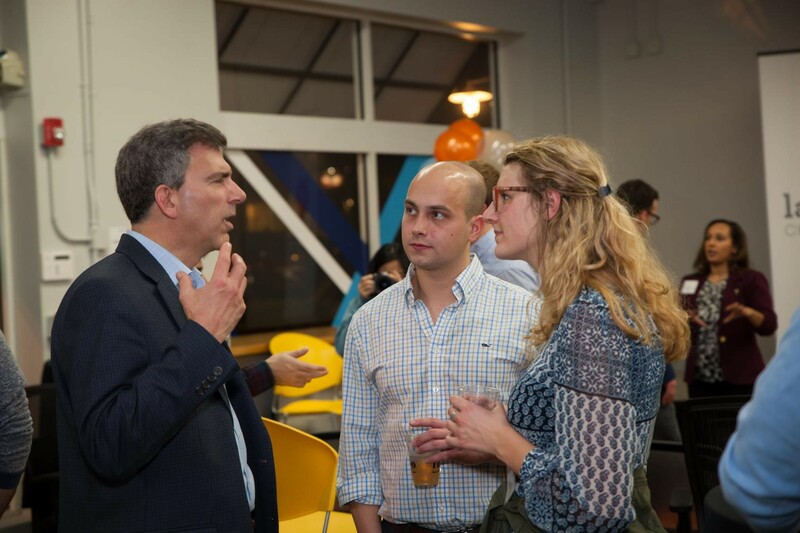 The result is a close-knit network of experts who serve as mentors, work as entrepreneurs-in-residence with University programs, stay connected at Launch Chapel Hill Pizza Fridays, and gather at cohort kickoffs to offer additional support. 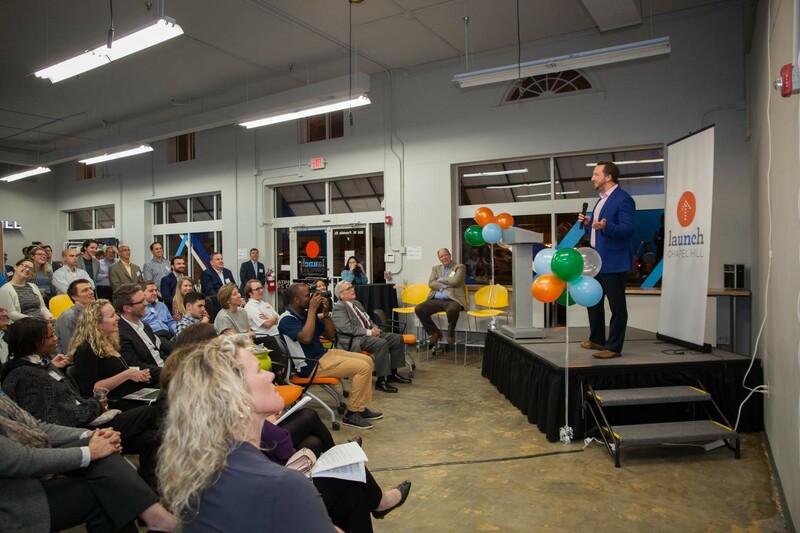 “Launch Chapel Hill has become an X factor in terms of helping innovators and entrepreneurs at Carolina and in the local community go from business concept to breakthrough company." ● AITS provides a cloud-based software service, based on machine learning and artificial intelligence, for accurate and high-throughput analysis of video microscopy data. ● British Taxi provides vehicles that are wrapped and dispatched into North America’s biggest retail areas to stimulate sales. They wow as pop-up shops and POS systems, helping marketers and brand builders send messaging in to the country’s most exclusive shopping zones. ● ChartMyMatch is a technology company that provides granular tennis statistics to players of all skill levels. It works with ATP and WTA professionals, as well as amateurs across the world, to provide highly customized statistical analysis. ● Daily Fantasy Insider is a content provider for daily fantasy sports players with a unique platform that makes the process of building lineups extremely efficient. It strives to help players have more fun and success in their fantasy sports ventures. ● enrollmentFUEL is a communications, management and training solution that uses both art and science to match aspiring students with purposeful outcomes at higher education institutions. ● Epione.ai creates transformative artificial intelligence solutions to improve the overall medical experience for the doctor and patient with the latest emerging technologies. ● Isaiah Miner sells a cryptocurrency mining ring that is small, compact and works right out of the box to make it easy to mine cryptocurrencies for home users. ● Let’s Room Together transforms the grad-life experience by tackling two of the most painful parts of going to school: finding the right roommate and completing the virtual “grad-prep checklist.” It provides incoming students with a vibrant online social community, proprietary roommate pairing software and curated prep guides to make the transition back to campus easier to navigate. ● Moyo Medical Technologies is a biotechnology startup dedicated to developing women’s healthcare technologies for use in low-resource settings. 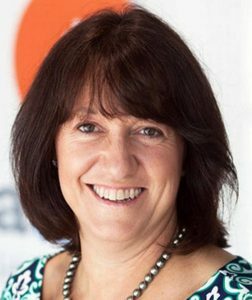 ● GameFlo creates digital products that engage children through their interest in sports and incorporate elements of game design to introduce principles of Computational Thinking. ● Viva Biliteracy is addressing the needs of dual-language schools by providing K-5 Spanish curriculum combined with professional development. ● VIYB provides an online platform that creates an effective, simplified and personalized process for matching mental health therapists with patients.